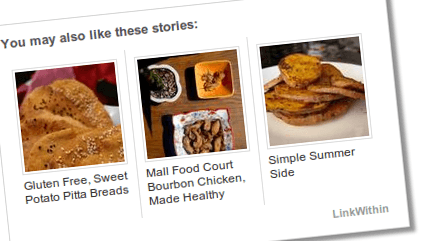 OutBrain: a sophisticated content recommendation system for your website. It has everything you need to engage your audience and amplify your content. You get native monetization too. These guys have some very large clients. 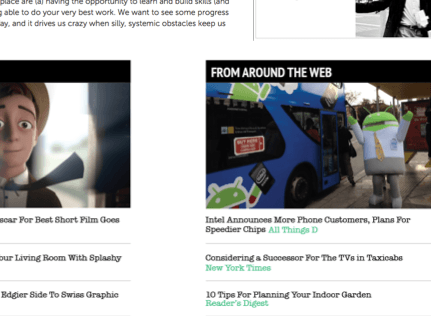 Contextly: another one of our favorite content recommendation services. This is a premium service, so the more traffic you get, the more you pay. Contextly increases reader engagement, drives your visitors to your interesting stories, and helps with your promotions. 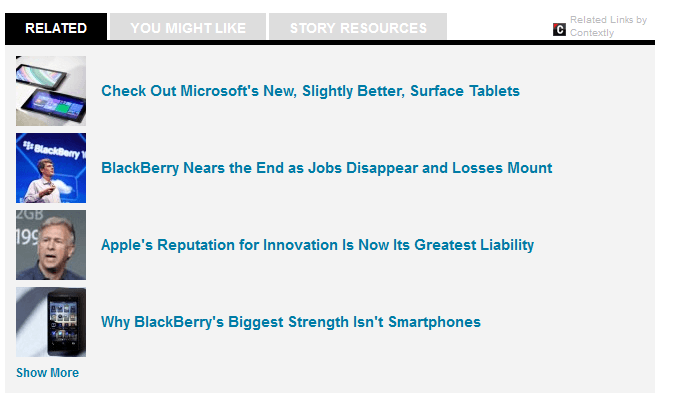 As you can see in the above image, Wired.com currently uses Contextly. Reverb for Publishers: a content discovery plugin that adds related content to your pages and makes your posts look more compelling. You can also recommend content from other sites. The fact that Wordnik takes care of the processing on its servers means your site won’t crash as you add more content. 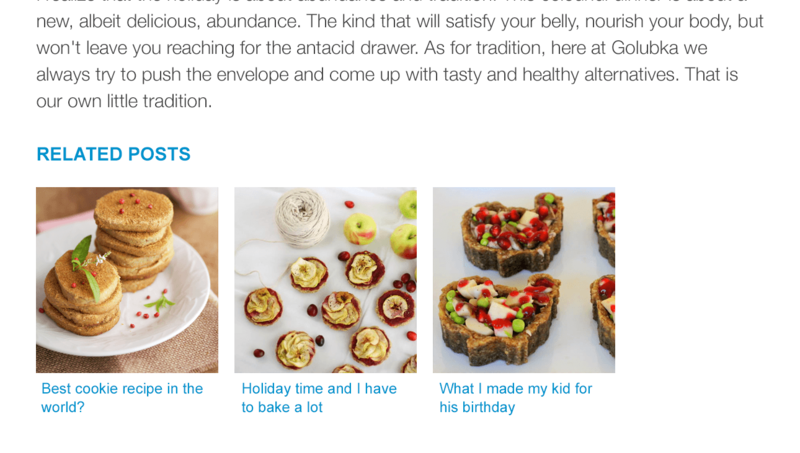 nrelate Related Content: a pretty good looking related content plugin for WordPress. It analyzes your website content and displays related content accordingly. We have not experienced major server load issues when using this plugin. Related Posts by Zemanta: we have experimented with Zemanta on WP JEDI and many other sites that we run. Related Posts not only increases your internal traffic but exposes your content to new audiences. You can search your own site and handpick the posts you want to push hard. 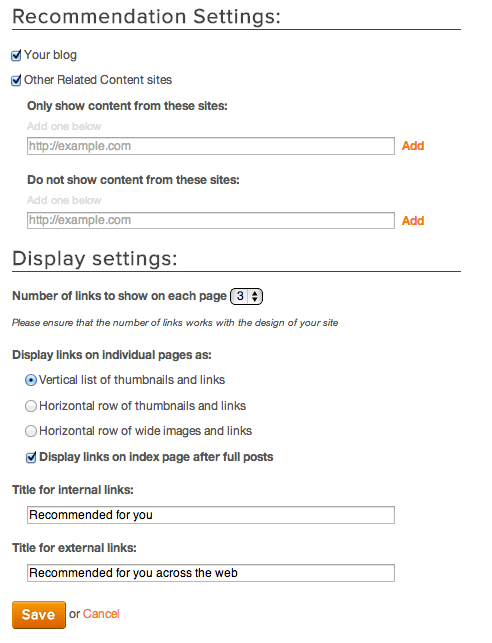 LinkWithin: need a very simple way to add related content to your blog posts? It can’t get any easier than this. Its widget blends in with your site design and makes your content more engaging. It may not be the most sophisticated option out there but you can install and use it fast. These WordPress plugins and services facilitate content discovery and increase user engagement on your website. They are not all free but they don’t break your site either. What’s your favorite content discovery plugin/service for WordPress?